The island of Bali is the smallest province of Indonesia and is home to most of the country's minority Hindu population. Bali offers world-class surfing and diving, a large number of cultural, historical and archaeological attractions, and an enormous range of accommodations. Its varied landscape of hills and mountains, rugged coastlines and sandy beaches, lush rice terraces and barren volcanic hillsides all providing a picturesque backdrop to its colourful, deeply spiritual and unique culture help support the island's claim as paradise on earth. Kuta / Legian - Kuta was originally discovered as a surfing mecca due to its long beach front facing the Indian Ocean. It is a popular stop for backpackers and is renowned as a playground for young Australians to shop, eat and drink. This is the nightlife capital of Bali. Seminyak - just north of Legian, a more upscale, luxury, tourist suburb. Sophisticated and quieter than Kuta, this is the place for pampering yourself with high end spa treatments, boutique shopping, modern dining and trendy designer bar and night club hopping. Tuban - only five minutes from the airport and close to Kuta. It has a quieter and more relaxed atmosphere. As a prime family resort area, there are a range of tourist attractions and variety of shops and restaurants nearby. Candidasa - close to the central east coast dive sites, a quiet coastal getaway with lovely ocean views. The hills and rice paddies create a scenic, green backdrop. Nightlife is minimal but restaurants are good. Several art/handicrafts shops line the main street. The Bat Cave Temple of Lawah, home to thousands of fruit bats, may be visited. Tulamben - a small fishing village with a stone beach on the north-east coast of Bali, home to the wreck of the USS Liberty. Ubud - located amongst rice paddies, forests, rivers and steep ravines in the central foothills of Bali. With it's cooler temperatures and focus on the arts, crafts and culture of Bali, Ubud has become a popular tourist destination away from the busy coastal regions. Known as the "Island of the Gods", Bali is the most well-known and visitor-friendly tourist island in Indonesia. It is an ideal destination for everyone, from families and friends to singles, couples and honeymooners; from budget backpackers right through to the super elite traveler. Bali is located at the westernmost end of the Lesser Sunda Islands, just over 2 kilometres from the eastern tip of Java and west of the island of Lombok. The island is home to about 4 million people and is approximately 150 kilometres from east to west and 90 kilometres north to south. In the southern part of the island is Denpasar, Bali's capital and transport hub with the island's international airport. Most of the island's coastline is fringed by beaches and surrounded by coral reef, with the exceptions being some important areas of mangrove forest in the southeast, and the high cliffs of the Bukit Peninsula dropping straight into the crashing waves below. Black sand beaches are the norm due to the volcanic nature of the island. However, there are some beaches in the south with fine-grained white sand. Away from the coast, Bali is largely lush, green and fertile. Rice paddies are the dominant agricultural feature. Especially beautiful examples of terraced rice paddies can be found in the centre of the island north of Ubud and in East Bali around Tirta Gangga. Elsewhere, gently rolling rice fields make for pleasant rural scenery. Bali's mountains are all volcanoes, some dormant and some still active. At 3,142 metres, Mount Agung dominates the landscape of East Bali and has not erupted since 1963. Much more active is Mount Batur, which permanently smoulders and periodically produces a large bang and plumes of ashy smoke as pressure is released from within. Enjoy all that South Bali has to offer from the hustle, bustle and fun of the Kuta / Legian / Seminyak areas. Spend the day relaxing by the pool, at the beach or shopping for fine art, handicrafts, furniture (new and antique), DVD's, clothes, watches, jewelry and souvenirs. Bargaining is expected, however be aware that much of the merchandise is fake. There are some department stores that sell genuine designer labels. Then party the night away at some of the many restaurants, bars and night clubs. Venture down to Jimbaran Bay where many resorts have been built into the cliff face above the sheltered beach and sink your toes into the sand as you dine on fresh seafood on the beach. Bali's best known attractions are its many Hindu temples. Pura Luhur Uluwatu (Uluwatu Temple), at the southern tip of Bali, is easily accessible and hence very popular, as is Tanah Lot. For the Balinese, the "mother temple" of Besakih on the slopes of Mount Agung is the most important of all. Bali is also a spa lovers paradise. You'll be hard pressed to leave Bali without having experienced a traditional Balinese massage. For lovers of water activities, there are many scuba diving and snorkeling sites located around the island. Surfers will enjoy the breaks off Kuta, Legian, Canggu, the Bukit Peninsula and Nusa Lembongan. Whitewater rafting can be done in the Ubud area. Sport fishing is also becoming a more popular activity. Waterbom Park in Kuta is a fun day out for kids and adults alike. There is much appeal for the sport and adventure traveler in Bali as well. Golfers will find some scenic and appealing courses. Paraglide at Nusa Dua. Mountain bike in the hills of Ubud or downhill cycle from Bedugul and Kintamani. Bungy jump on the beach in Seminyak. Go horse riding in Seminyak and Umalas. Hike in the rice fields near Ubud. Climb the active volcano, Mount Batur. Nature can be observed whilst trekking in West Bali National Park, at the Butterfly Park (Taman Kupu Kupu) in Wanasari, or at the Bali Botanical Gardens in Bedugul where there is also the Bali Treetop Adventure Park. There are many Bali Sightseeing Tours on offer during which you will experience the scenic beauty of the landscape and culture for which Bali is re-known. Bali has a tropical, humid climate with year round day time temperatures varying between 20°C to 33°C. The west monsoon during December to March can bring heavy afternoon showers and high humidity. Between June to September there is not much rain in the coastal areas, the humidity is lower and it can be cool in the evenings. In central Bali and in the mountains, cloudy skies and showers can occur at any time of the year. At higher elevations such as Bedugul or Kintamani, it gets distinctly chilly and you will need either a sweater or jacket after the sun sets. Bali can get very crowded during the high tourist season in August and September and again at Christmas and New Year. Australian school holidays are also busy, while domestic tourists from elsewhere in Indonesia visit during national holidays. Nyepi, or the Hindu New Year, also known as the day of absolute silence, is usually in March or April (the day changes every year). The days preceding Nyepi are full of festivities. However, on Nyepi absolutely everything on the island is shut down between 6am on the day of the new year and 6am the following morning. Tourists are confined to their hotels and asked to be as quiet as possible for the day. After dark, light must be kept to a bare minimum. No one is allowed onto the beaches or streets. The only exceptions granted are for real emergency cases. The airport remains closed for the entire day and no flights come into or go out of Bali for 24 hours. Ferry harbours are closed as well. Diving is conducted year round in Bali but conditions will vary throughout the year and from location to location. December to March has the lowest visibility. Mola Mola (sunfish) season is between July to mid-November. Manta rays can be seen year round but the best time to see them is from April to June. 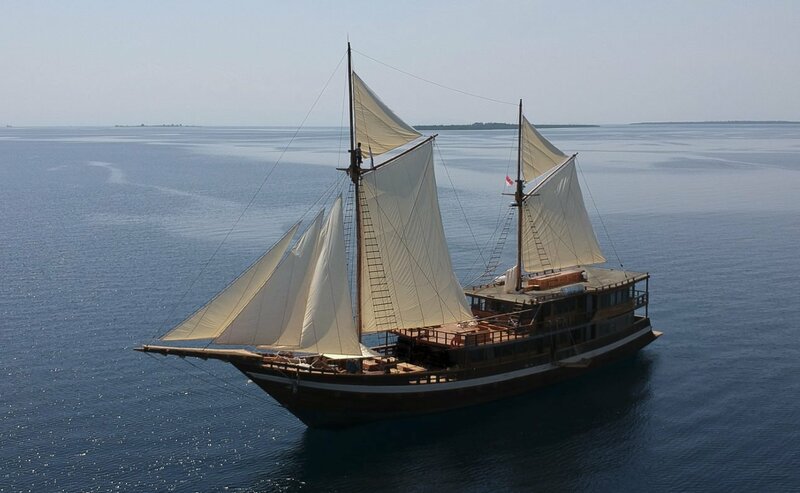 Monsoon winds make for rougher seas between June to September around Nusa Lembongan and Nusa Penida. Surfing is also possible year round but the peak surf season generally runs from June to September through the dry season. 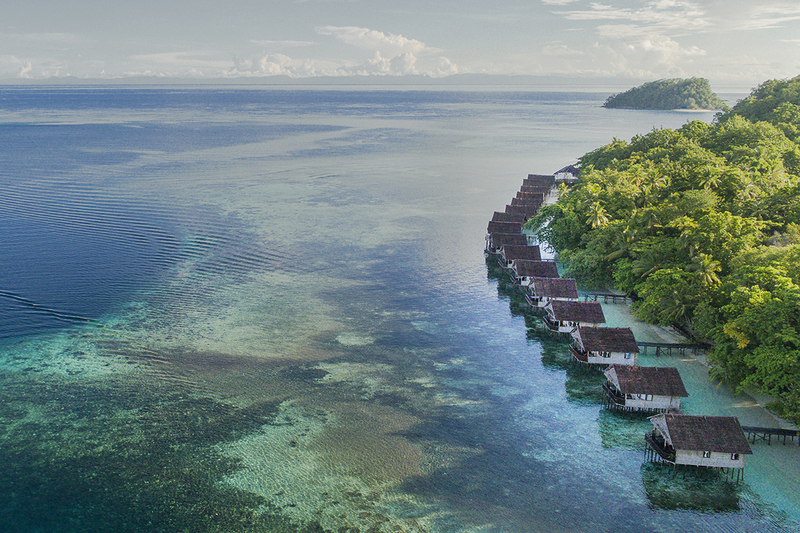 Bali is often overlooked by divers heading for Komodo, Manado and other Indonesian destinations. However, the diving in Bali is diverse: walls, coral ridges and bommies, currents and drift dives, a world class wreck dive, muck diving, sharks, manta rays, mola mola (ocean sunfish) and abundant macro life - there is something for everyone. The dive season runs year round but conditions will vary throughout the year and from location to location. December to March has the lowest visbility. The Lombok Strait is a deep water trench off the Asian continental shelf. The volume of tidal water flowing through this channel creates challenging diving with strong, shifting currents and often great visibility resulting in large pelagic encounters off Bali's east coast. The dive sites are spread around the island. If you'd like to visit all four corners of the island to enjoy the best dive areas, then consider taking a dive safari spending 2-3 nights in each area and diving en-route. Strong currents provide some good drift dives and pelagic encounters including manta rays, sharks and mola mola. The sunfish season is between July to mid-November. Manta rays can be seen year round but the best time to see them is from April to June. The water in this area is cooler (20-26ºC) due to the deep ocean upwellings from the south of Bali. Monsoon winds make for rougher seas between June to September. The dive sites around this area offer some of the most breathtaking diving in Bali. "Blue Lagoon" is an easy, sheltered dive on a sand bottom with excellent smaller marine life and is suitable for beginners and macro photographers. The other sites are small rocky islands off the coast with strong, unpredictable currents and healthy reefs, walls and canyons teeming with fish life and sharks. Again the water is cooler and there may be thermoclines. This black sand bay has a diversity of sites from the muck diving of "Ghost Bay" to the rich reefs and coral formations of "Jemeluk Reef and Wall". There is also a Japanese wreck. Conditions are generally calm and the sites can be accessed from shore or by jukung (local boat). This is also a good area for snorkelers. This is Bali's most famous diving area with an incredibly diverse ecosystem. There is a "House Reef" dropping to 25 metres consisting of table corals, anemones, sponges and soft corals housing blue ribbon eels, frogfish, ghost pipefish, nudibranchs and anemone fish along with black tip reef sharks and schools of bumphead parrotfish. Further down the "Tulamben Wall" drops to 60 metres with large barrel sponges and cruising barracuda, tuna and trevally. There are also occasional sightings of mola mola, manta rays and whale sharks. Tulamben is also home to the USS Liberty shipwreck, a 120 metre WWII cargo ship torpedoed by a Japanese submarine on 11 January 1942 off the coast of Lombok. Unable to make it back to port in the north of Bali, the ship was beached at Tulamben until 1963 when the wreck slid into the bay due to the earth's tremors from Mount Agung's last volcanic eruption. The ship now lies 30 metres offshore almost parallel to the beach in 5-28 metres. Fairly broken up, it is now completely covered in anemones, gorgonian fans, hard and soft corals. Over 400 species of fish can be found around the wreck from anthias, damsels and wrasse to resident big eye trevally, great barracuda, giant groupers, batfish and sweetlips. A Night Dive during full moon is a great experience as is an early morning visit by a sunfish (in season). The wreck can also be snorkeled. There are more dive sites outside of the bay itself in the Tulamben area that are popular with photographers for macro and muck diving as well some pelagic sites where the occasional scalloped hammerhead have been seen. These areas offer some good muck and critter diving. You will find sea grasses, sea pens and algae covered debris providing shelter and camouflage for seahorses, ghost pipefish, a variety of octopus and frogfish, cockatoo waspfish and gobies (amongst many other critters). 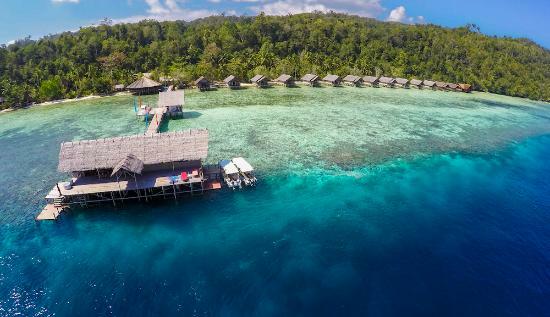 Menjangan is known for it's beautiful vertical, wall dives, warm water, white sand, calm conditions and good visibility (sometimes up to 50 metres in July to September). Suitable for divers and snorkelers of all levels. There are lots of nooks and crannies and overhangs to explore in the walls attracting lots of small fish. Search for pygmy seahorses amongst the colourful gorgonian fans. The "Anker Wreck", a small wooden boat, lies in 30-50 metres. 3 Best of Bali Dive Safaris have been created to offer divers the opportunity to see the best dive sites Bali has to offer using pre-organised, hassle free itineraries. Dive Safaris are the ideal way to experience all that Bali has to offer. All your transportation between the dive regions, your accommodation in each area and your diving is pre-arranged, thus allowing you to make the most of your dive time on the island. The itineraries include both shore and boat diving, and encompass a wide variety of dives: walls, wrecks, reefs, drifts, with opportunities for macro and wide-angle photography. Nothing has been included 'for the sake of it'. At these sites you'll see fantastic hard and soft corals, great density and diversity of marine life – from large pelagics such as Manta rays and Mola-Mola (Ocean sunfish) in season, to the tiniest juveniles and pygmy seahorses. The pre-planned timing of dives ensures you'll see the maximum possible with the best conditions (as far as conditions can be predicted!). The itineraries also allow a little time for optional land tours and activities. There are options to join on set departure dates for the 3 standard Best of Bali Dive Safari itineraries listed below or to customise your own itinerary.